I always start by cutting all the ingredients and place them in different bowls, it makes it easier and less messy to cook afterwards. Toss chicken with flour and then fry it in a pan. Keep the rest of the flour and mix it with soya and honey ( you can also add some ginger and garlic if you like it), then set aside. Add broccoli, carrots, mushrooms and onions to the same pan where you are cooking chicken, let it cook for 20/25 minutes at low heat. Meanwhile boil water for noodles. Add the broth to the wok and let boil until noodles are cooked then mix together! I am not an expert of cooking but I enjoy it very much, especially mixing ingredients and creating new dishes . 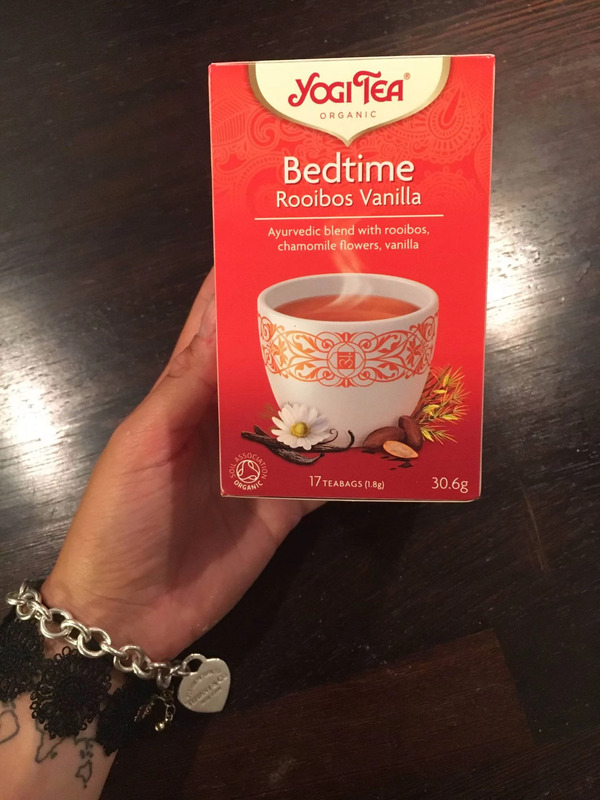 Also, you must know that I am OBSESSED with tea, today I was walking in the centre with my boyfriend and I could not resist buying a new Yogi Tea, it is called bedtime and it containes rooibos, camomille flowers and vanilla! I will try tonight and let you know how it is!